From the high-speed and cross-country transit systems to subway systems, Schneller works to meet the demands of the rail industry. Our robust rail products are designed for a high degree of durability, weight, and fuel efficiency. 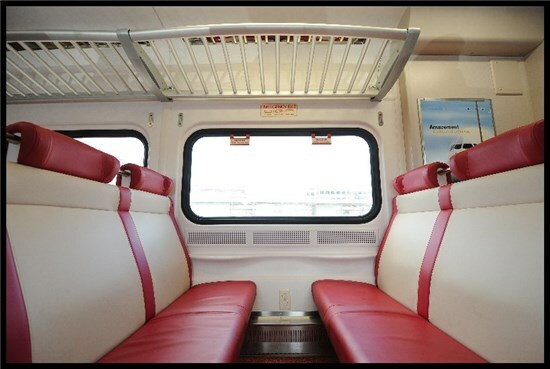 Our subway interior products are ideal for both new and refurbished passenger rail cars. Available in unlimited colors, patterns, and textures, our rail laminates are flexible enough to fit new contoured surfaces, yet tough enough against graffiti, stains, and most solvents. Our products are approved for use by most intercity and commuter rail authorities worldwide. Lightweight: Whether choosing a product for new vehicles or retrofitting existing railcars, Schneller rail market laminates are significantly lighter than alternatives and offer the resulting long-term savings from weight reduction. Cleanability and Graffiti Resistance: With the protection of DuPont’s Tedlar film, Schneller laminates provide simple cleanability for dirt, grime, graffiti, etc. FST Compliance: Schneller can provide decorated laminate solutions fully compliant to global flame, smoke, and toxicity standards, such as CFR238 and EN45545. Ease of Application: Compared with other solutions, Schneller GTFilm and GTGlas offer simple in-car application for refurbishment projects with like-new results. 3D Capable: From window masks to seat back shrouds, Schneller laminates are capable of provide a superior surface for most every interior surface.